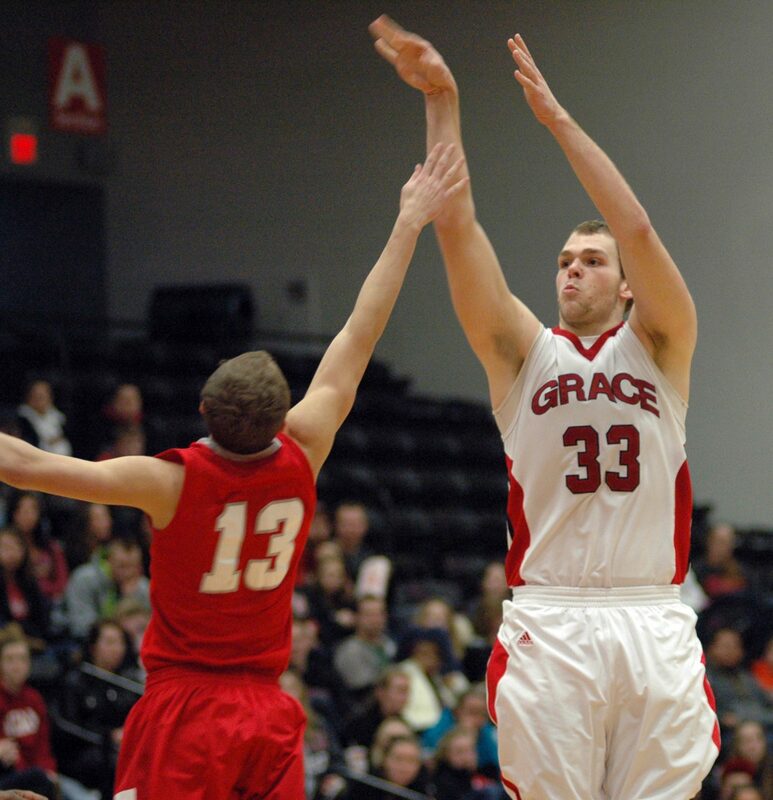 Grace College Lancer point guard Bruce Grimm Jr., a senior, wrapped up his final season in a Lancer uniform by being named First Team All-American by the NAIA. Greg Miller also earned honorable mention status for NAIA All-American. Grimm and Miller both appeared on the NAIA’s 10-man All-Tournament Team after the Lancers’ charge to the “Final Four” in Branson, Mo. Additionally, Grace was given the NAIA Team Champions of Character Award as was announced at the tournament’s conclusion. Grimm piloted the Lancers to three consecutive berths into the NAIA National Championships, including Grace’s run to the national semifinals in 2013. He finished the regular season with 17.9 points, 2.0 steals and a Crossroads League-best 5.5 assists per game as the Lancers finished second in the CL (13-5). Grimm was also the league’s Defensive Player of the Year. Grimm becomes Grace’s first individual to win First Team All-American honors from the NAIA since Eric Gaff in 2009. 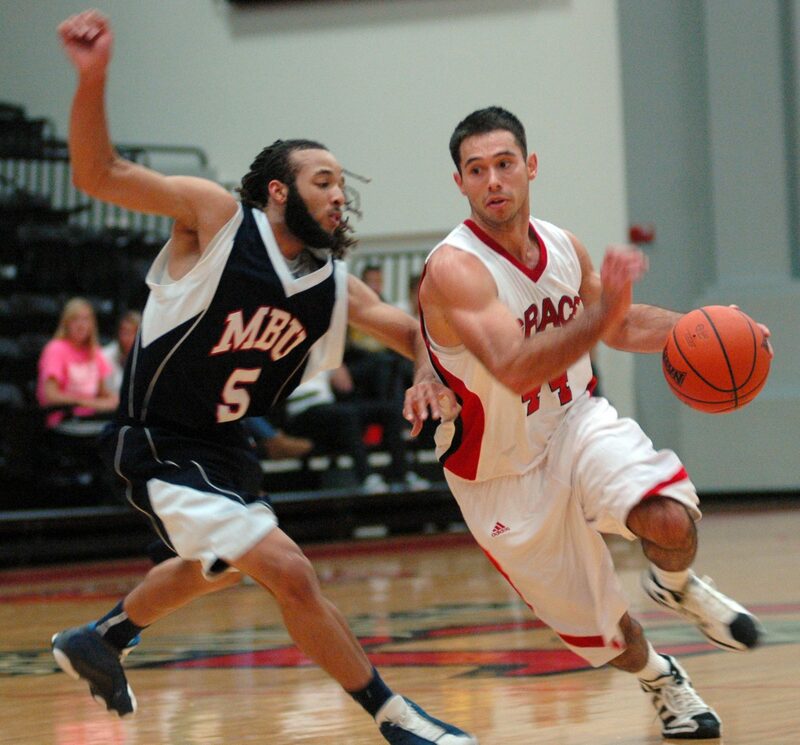 Miller picked up the first national award of his career with honorable mention status for NAIA All-American. He averaged 16.8 points and 9.2 rebounds per game for the Lancers.